Vacuum preservation consists in eliminating air or some gases from the container, such as for example, oxygen which is responsible for oxidation. With this technique, we can protect our food from contamination, dust and microbes. 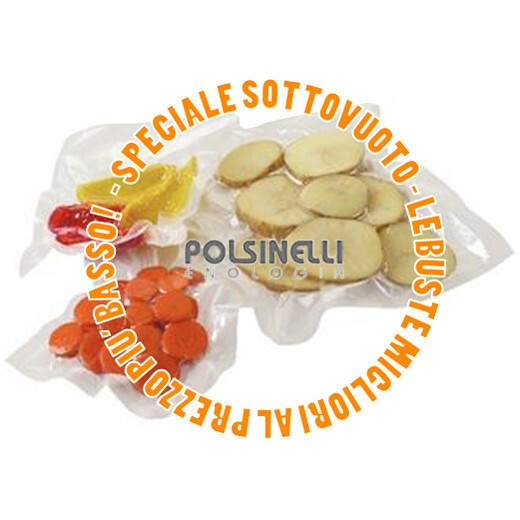 The absence of air allows us to preserve food longer, because bacteria and microorganisms can not develop. Furthermore the flavours, aromas, colours and nutritional values are all safeguarded. 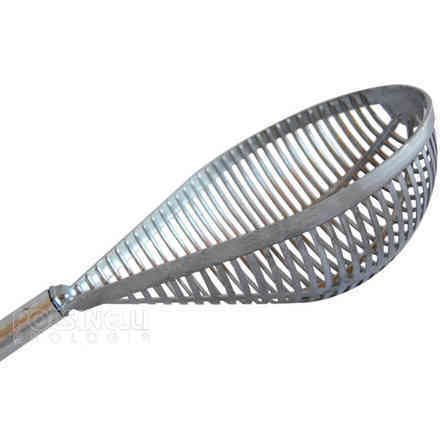 This technique is applicable to both cooked and raw products. 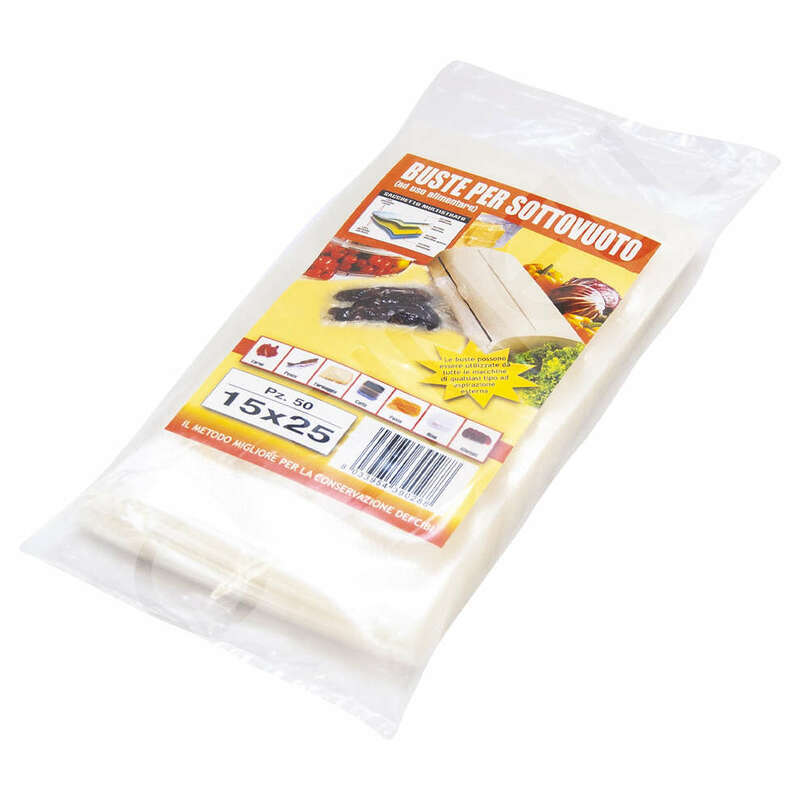 To carry out this process you need a vacuum packaging machine, which we have available in different models. 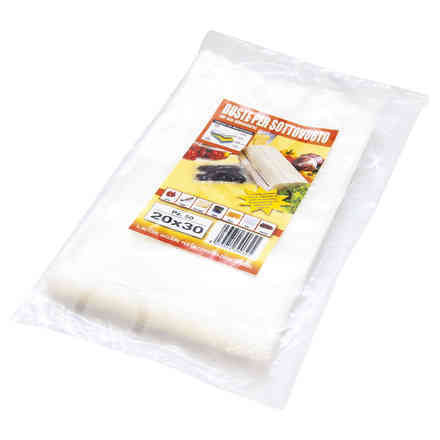 After that, just put the product to be vacuumed in one of our bags, choosing the most suitable size, to avoid unnecessary waste, intake the air and close the bag by means of thermal sealing, of which all our vacuum sealing machines are provided with. 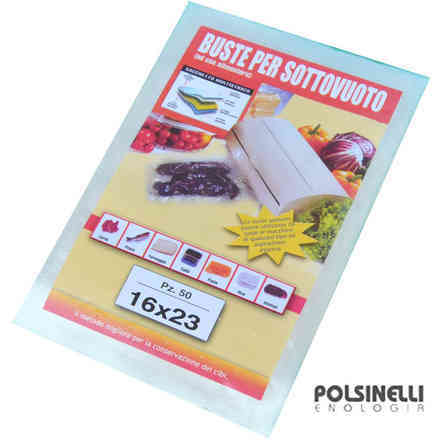 Our embossed bags are the ideal solution for preserving meat, sausages, cheeses, vegetables, bread, fish, legumes, etc. 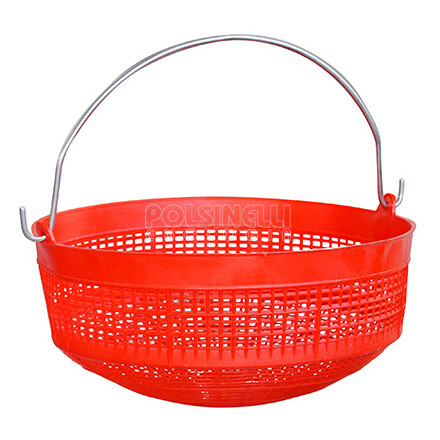 They are made of polyethylene, non-toxic material suitable for food use, and impermeable to oxygen moisture, the bags can withstand high temperatures, up to about 70°. 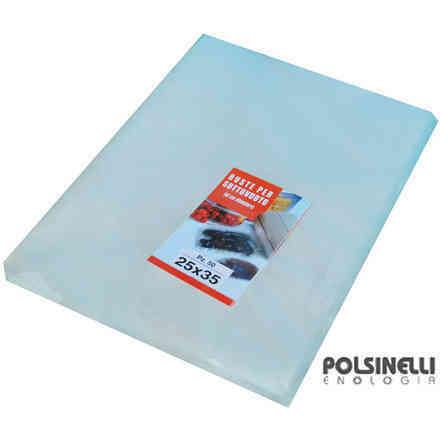 After having vacuumed sealed, you can pasteurize the product, cook it or freeze it up to -40°. 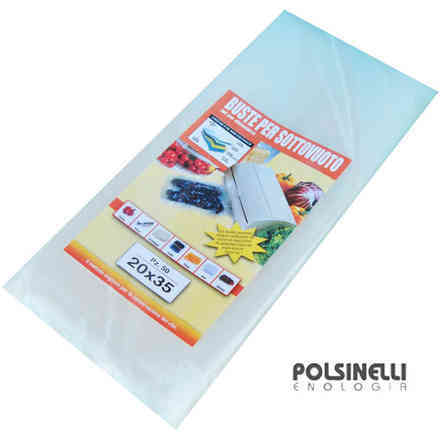 The absence of oxidation and protection from odours penetrating within the packaging are just some of the advantages of vacuum sealing. 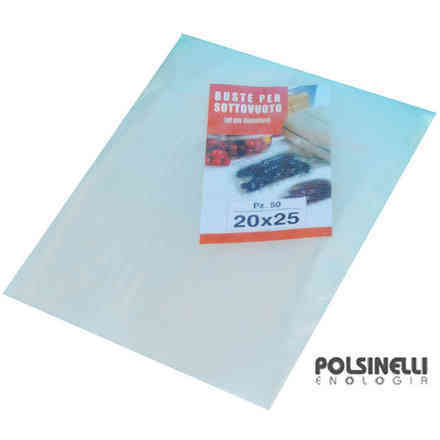 The embossed side of the bag allows the elimination of air in order to lengthen the preservation of the product. 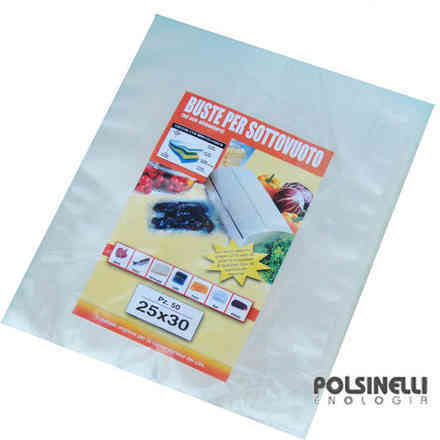 The bags should be bought from Polsinelli Enology, because they need to be durable, airtight and suitable for food use. 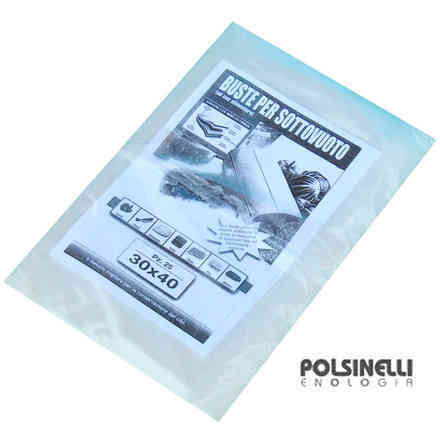 Our bags answer all these requirements and the outer layer is made of polyethylene which is more resistant to punctures or lacerations. 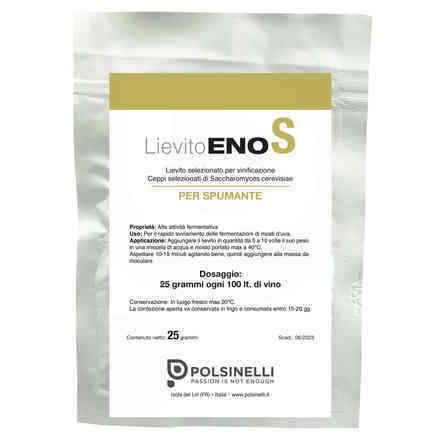 The food timing preservation varies and are approximate, because it depends on the original condition of the product and the method of preparation. 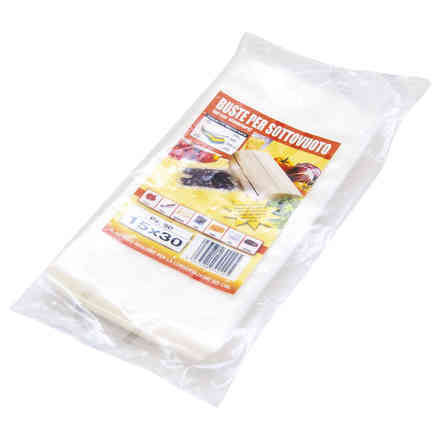 Pre-packaged food must still be consumed according to the expiry date on the packaging.